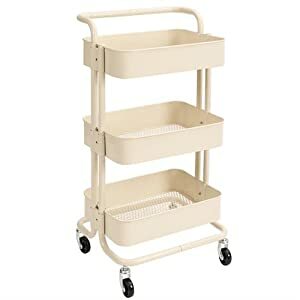 The handle and four omnidirectional Casters of the wire shelving make it easy for you to move the cart and use it wherever you like. 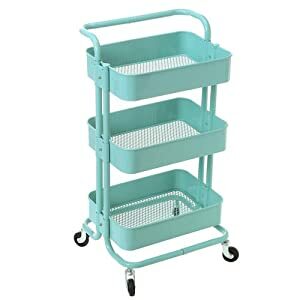 It even fits in tight spaces because of its small size. 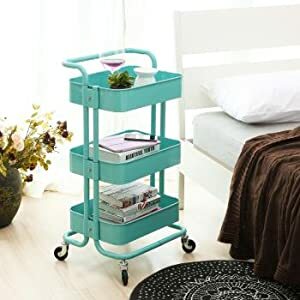 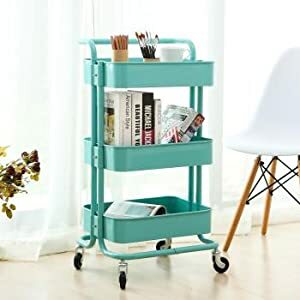 You can use the cart in different ways, including as an extra work area in the kitchen or as a different nightstand in your bedroom.